4007 E Providence Rd, James City County, VA 23188 (#10250403) :: Abbitt Realty Co. 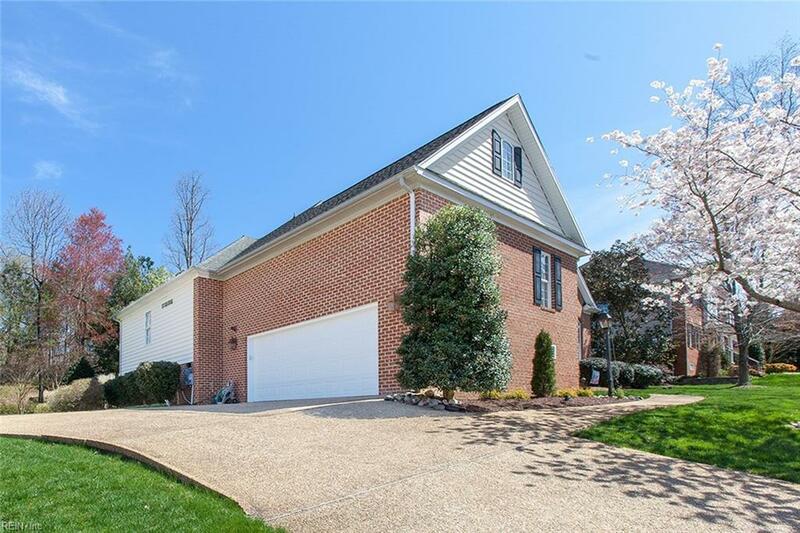 Custom built home in popular Powhatan Secondary. Move-in ready with upgrades galore and located in the Jamestown High school district. This home features 2 masters on the first floor, one with a soak tub and the other with a jetted tub and shower. There is a possible third master in the spacious bonus room with a full bath. Entertaining is a breeze in this open floor flan with formal dining room overlooking the great room with corner gas fireplace. The kitchen features an eat-in nook with custom built-ins and opens to a three season room. Enjoy the warm weather in the professionally landscaped backyard with outdoor lighting, brick patio and extensive landscaping. 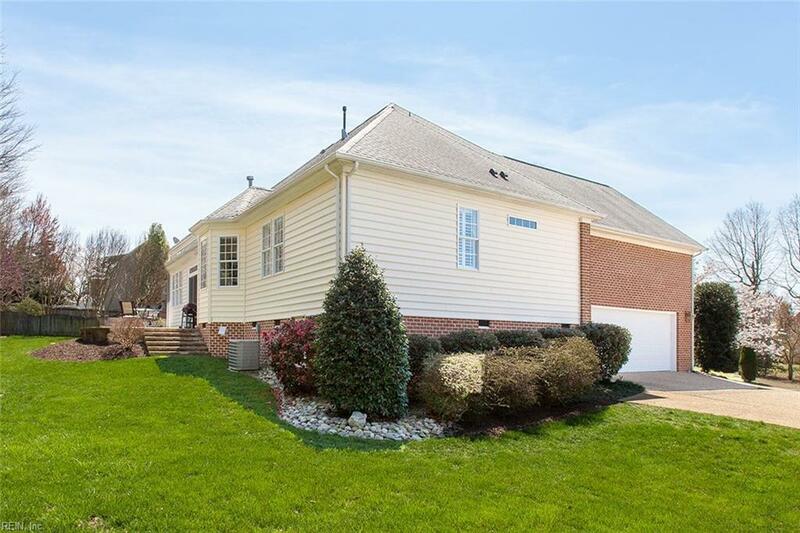 Great curb appeal with brick front and side loading garage. This home features wood floors, 9' ceilings, granite countertops, gas cook, stainless appliances, custom built-ins, irrigation system, in place generator, tray ceiling, wired ceiling speakers, alarm system wired, tankless water heater and the list goes on! 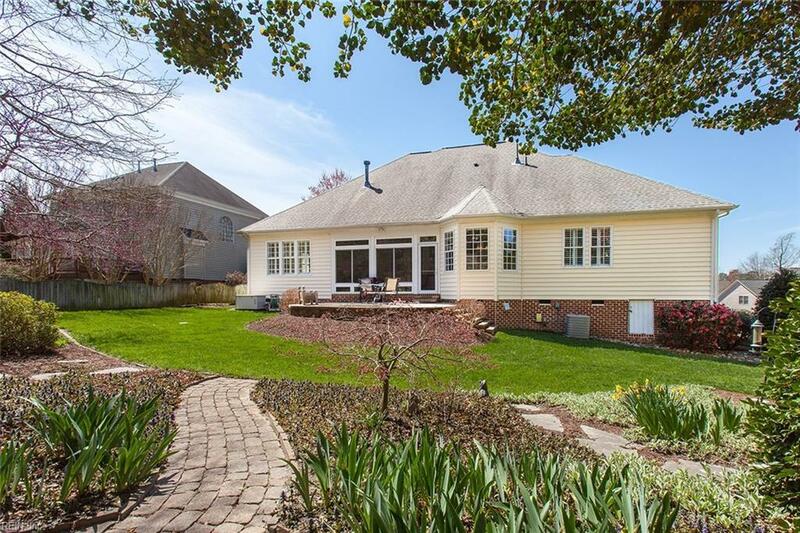 A gardeners delight with a utility sink in the garage and the laundry room. The neighborhood offers a pool, playground, pond and minutes to shopping and dining.